“MCM Camping” opened its doors in 2017 and was given 4 stars by the Ministry of Sustainable Development and Tourism. It is located on the 3rd kilometer of the Long Beach, Ulcinj behind MCM Beach, in the natural shade of the pine trees with a beautiful sea view, which is the perfect location for your vacation. MCM Camping contains divided parcels from 40m² up to 100m², each supplied with electrical energy and water for all types of camping, i.e. trailers, tents, vans etc. You will also find a sanitary hub, showers, toilets, sinks, barbecue areas, laundry service and a pit for emptying trailer sewage. 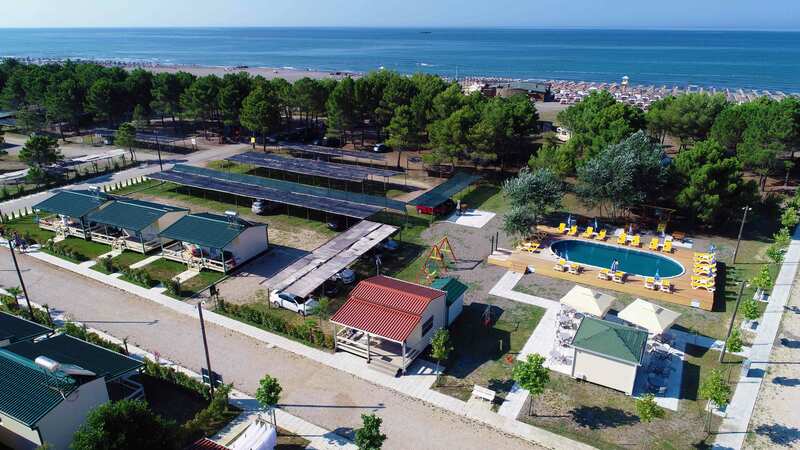 There is a play area for children with different props,swimming pool, pool bar.There is free WI-FI to your disposal throughout the entire camping area. MCM Camping also offers rentable luxurious accommodation units which provide our guests with comfort for a perfect vacation by the sea.